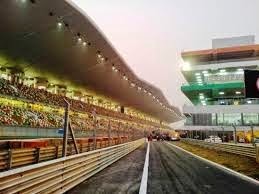 If you are not a celebrity and don’t rub shoulders with who’s who in the power corridor or amassed a substantial amount of wealth [by any means, that doesn't matter], chances are slim, that you will be allowed to zoom through the titillating (sic) tracks of the Buddh International Circuit, the first of its kind in India. So, in the advent of such a situation what do you do to curb your insatiable desire to drive your machine at breakneck speed? 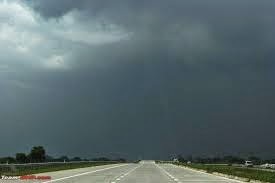 You invariably turn to the Yamuna Expressway, the 165 km long six lane driveway that connects Greater Noida to Agra. Formerly named as Taj Expressway, this magnificent roadway is a paradise for lovers of speed. [Disclaimer: (who says it should be at the end? ): Personally I do not approve of reckless and meaningless driving on roads. This is something which is best left to formula one “racers” that too on the designated tracks of formula one circuits.] This is one journey I recommend to those who believe in the song ‘Long drive pe chal’, a la Akshay Kumar from Khiladi 786. If you want to explore the outskirts of New Delhi and want to turn an otherwise drab weekend into an eventful one, there is nothing like driving through this ‘massive & smooth’ road par excellence to Agra. You don’t have to be behind the wheels of a Ferrari, a Lamborghini or for that matter any swanky car like a Jaguar. A Hyundai i10 can also give the same thrill as you soak in the panoramic views on both sides of the driveway. Devoid of any signals for such a long stretch, this is a one off driving experience for Delhiites who are subjected to grueling traffic snarls every day of their lives. I am sure even Sebastian Vettel, Kimi Raikkonen, Fernando Alonso, Lewis Hamilton, Felipe Massa or the original Michael Schumacher would love to ply through this marvel. Provided they don’t give in to their Basic Instinct of pressing the paddle too hard. This trip is no less fascinating than racing in the annual Formula One Indian Grand Prix, if not greater. Not trying to draw an analogy between the F1 race track at Buddh International Circuit and the Yamuna Expressway, I would still say that this is definitely the poor man’s race track. Reducing considerably the travel time between Delhi and Agra, this road is a welcome change for people of the region. See, I can already hear people from Agra muttering, Ab Dilli Dur Nahin! AIB Knockout Or PIB (Pan India Backchod)-Whatever!